Want to be notified of new releases in dachcom-digital/pimcore-i18n? 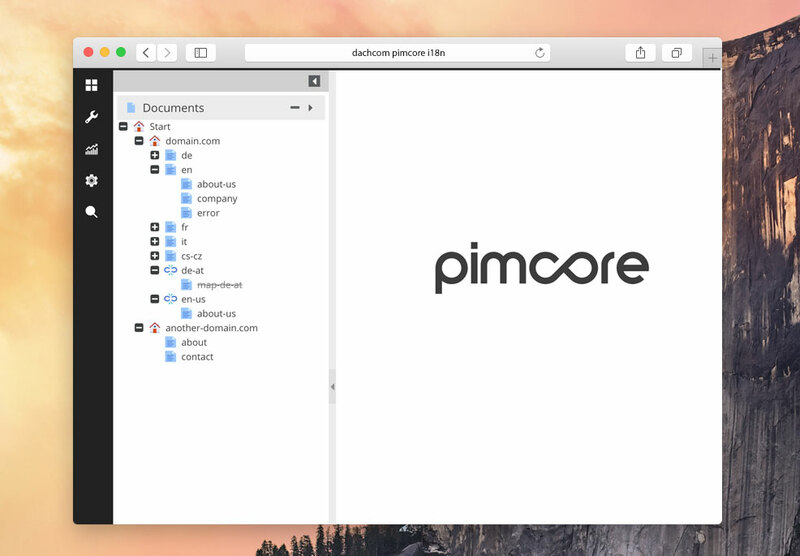 Pimcore already comes with some great features to build internationalized websites. But there are some gaps we have to handle by ourselves: search engine guidelines, geo based redirects and a dynamic link handling for internal documents. This Bundle helps you mastering this challenges and gives you the freedom to elaborate complex country based localization strategies. Always be sure that every document translation is connected via the localization tool. Zones: Learn more about i18n zones and how to manage them. Href-Lang: Find out more about the href-lang tag generator. Static Routes: Configure translatable static routes and implement href-lang tags. Front Page Mapping: Learn how to map a custom front page. Localized Error Documents: Learn how to create localized error documents. Custom Locale Adapter: Learn how to create a custom locale adapter. Redirector Adapter: Learn more about redirector adapter and how to implement a custom one. Code Examples: See some examples. Context Switch Event: Detect zone/language/country switches. Canonical Links: Canonical links in hardlinks. Internal Links: Rewrite Internal links. Navigation Caching: Cache your navigation right! Why is there no Version 1? Before updating, please check our upgrade notes!